am lonesome about you both. 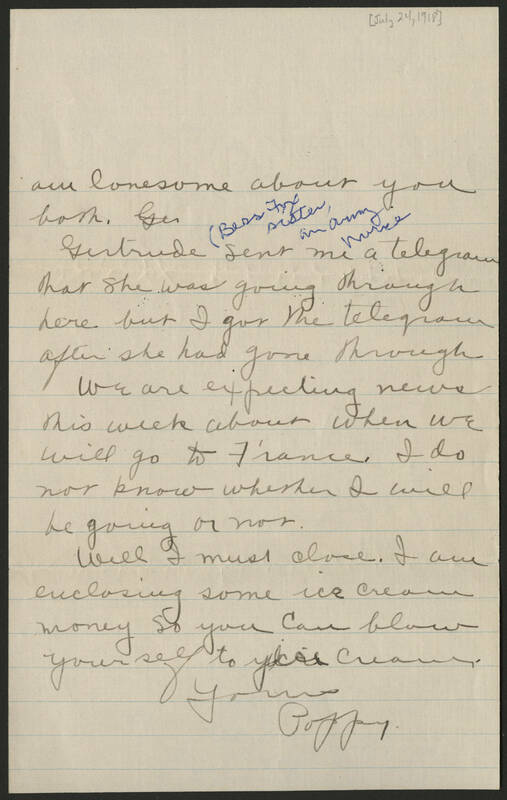 Gertrude (Bess Fox sister, am army nurse) sent me a telegram that she was going through here but I got the telegram after she had gone through. We are expecting news this week about when we will go to France. I do not know whether I will be going or not. Well I must close. I am enclosing some ice cream money so you can blow yourself to ice cream. Yours Poppy.